Simon Mason was working late at night at a parcel firm in West Horndon in Essex. After watching the lorry enter the depot he noticed that the driver had not lined up straight so decided to help the driver by signalling to him. As he put his head out to shout to the driver the lorry began to reverse. Mr Mason had his skull crushed and suffered some very serious injuries. Health and safety consultants know that there are so many dangers in the workplace and that every eventuality needs to be planned for. This is performed through many different health and safety services such as providing complete training, helping with reporting and producing risk assessments and many other services offered by companies such as Veritas. In this case the investigation that occurred following Mr Masons accident showed that there was a lack of assessments carried out by Tufnells Parcels Express ltd. The movement of vehicles was not controlled and there was no risk management in place to prevent accidents and to keep employees safe. Mr Mason survived however he did need to go into surgery on several occasions and although he has returned to work he still has some side effects even after months of round the clock care. The effects of his accident are long term and he has suffered due to the failings of the company he worked for. If Tufnells Parcels Express had created a safe and consistent method of working in their depot the accident may never have happened. If you own a company and are unsure of your duties regarding health and safety laws and regulations you should constant health and safety services for assistance. In this case the inspectors working on the case discovered that Mr Mason was working in an unsafe environment and the company had failed him and the other workers in the depot by putting their lives at risk. Chelmsford Crown Court heard about the accident and the discoveries made by the Health and Safety Executive. The company pleaded guilty so the judge gave them a fine of £150,000 and an additional £19,000 in costs. 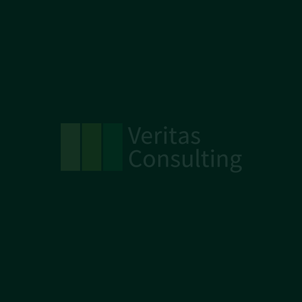 Veritas are health and safety consultants who provide services to prevent accidents and deaths in the workplace and on construction sites. Vehicles can cause many problems and so their needs to be a high level of attention and risk assessments carried out to keep employees and the public safe. A health and safety inspector spoke about the high risks involved with vehicle management after the court case in Chelmsford. It was the duty of the senior management to manage the risks and as they failed to do so a young man was left with awful injuries which could have easily resulted in the loss of life.